Digital Marketing is important for the success of any online business. Without a proper digital marketing strategy, you would miss out an opportunity to get more leads and sales because the number of internet users is increasing each year. 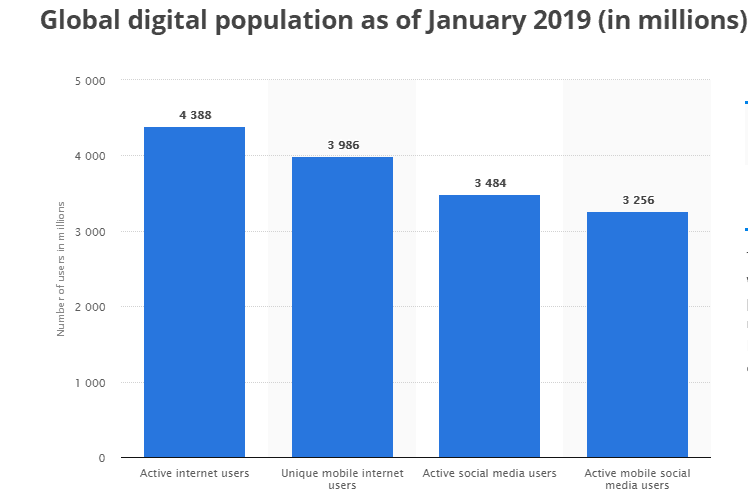 As of January 2019, there are more than 4.4 billion active internet users across the globe. In order to get the most out of your digital marketing strategy, you need to have clarity about which tactics and strategies are worth implementing and which ones should be avoided. As the competition is increasing day by day, you need to have a well-prepared plan of attack, or else you would be left behind. Nowadays, people are regularly using the internet to connect with various businesses online. Most of the users conduct online research before purchasing anything online. Therefore, if your business is not implementing the right digital marketing strategies, then you are leaving money on the table. It’s important to have a dedicated digital marketing plan to build brand reputation, get more exposure, increase sales, revenue, and to take your business to the next level. If you want to create a solid digital marketing plan, the first thing you need to do is define your brand. This step is crucial because you need to know how your brand is different from the others and what exact strategies you need apply to scale your business further. Focus on the unique selling points of your brand because every single business has something unique to offer. All you need to do is find the factors which separate you from others and add them to your online marketing strategy. 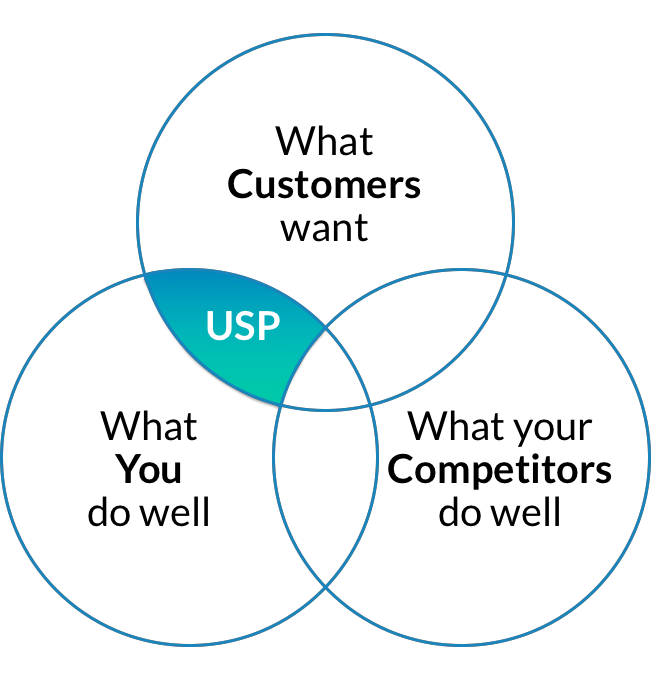 The USP, i.e., unique selling point helps to get more clients and customers as the online users are always looking for unique solutions which can solve their problems. By informing the consumers why your brand is better than the others, you help them to make better decisions. If you don’t know what the unique factors of your business are, then do some research and study the industry. You can also spend some time analyzing your competitors to understand better about their marketing campaign. 1. Write down the goals and objectives of your business in a few words. It will help you to know about the motto of your company. 2. List down the points which make your company different from the others. 3. How the USP of your business will make the life of your consumers easy and what benefits they get? 4. Know about your business values and why they are important for the growth of your company. 5. How to describe your business to the consumers in simple words because if you’re not able to explain the product or services, then it will be difficult to define your brand. While defining your brand have room for future growth and improvements. You need to understand your brand better to create a customized digital marketing strategy. A customer persona or buyer persona is the representation of your ideal consumer based on extensive market research about your existing as well as targeted customers. It gives a clear direction to your marketing plan and helps to understand better who are the people you’re actually targeting. In fact, more than 56 percent of businesses have been able to generate high-quality leads using buyers personas. It’s a true fact that not everybody will not purchase your product or services; therefore a customer persona helps you to reach people who are more likely to become your customer. A buyer persona consists of all the important data and information about your customers; hence once you have created it, all you need to do is implement all your strategies towards your audience. For example, if you create contents for the digital marketing blogs keeping the buyer persona in mind, you can establish a strong connection with the blog users because it would feel like the article has been written only for them. It’s important to create a buyers persona that aligns with your business goals and objectives to get better insights about your targeted customers. It helps you to know about the consumer’s likes and dislikes about your product or services. A buyer persona improves your brand identity, and increase the overall sales and revenue of your business. If you don’t research about your targeted users, then you may end up creating a vague buyer persona which will be just a random piece of information. It’s essential to know everything about your ideal customer before implementing any marketing strategy. The different ways by which you can collect the information regarding your ideal customer include analytics data, email surveys, through various groups and forums, comments on blog posts, traffic locations, and many more. 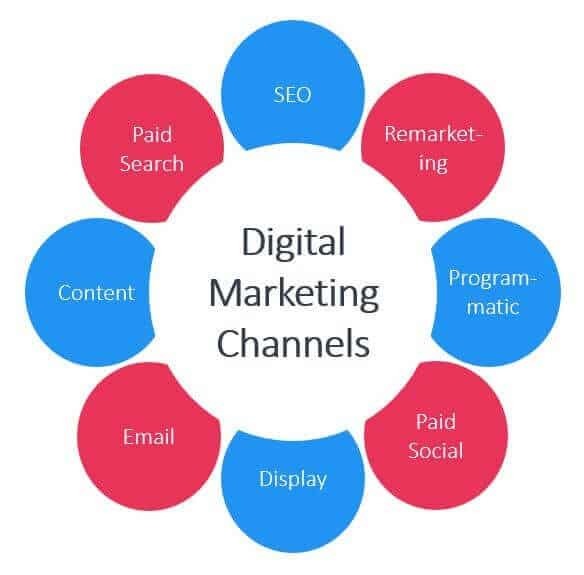 As technology is changing every day, it’s important to select the right channels to make your digital marketing strategy successful. Firstly, you need to understand that you cannot tap into all the marketing channels available as each requires time, and resources for creating a strong presence on it. Therefore, you need to select only those marketing channels that will give you the best results. There are more than 4 million blog posts published and about 500 million tweets sent each day. With such numbers, you have no choice but to specify particular channels to make your brand noticed in the pool of content out there on the web. The most important point to keep in mind about choosing a particular marketing channel is where your targeted users spend most of their time. Spend some time on the research on your audience preferences and where they mostly hang out. The more clarity you have, the easier it will be for you to select a marketing channel. Every brand and business has different short-term and long-term goals. 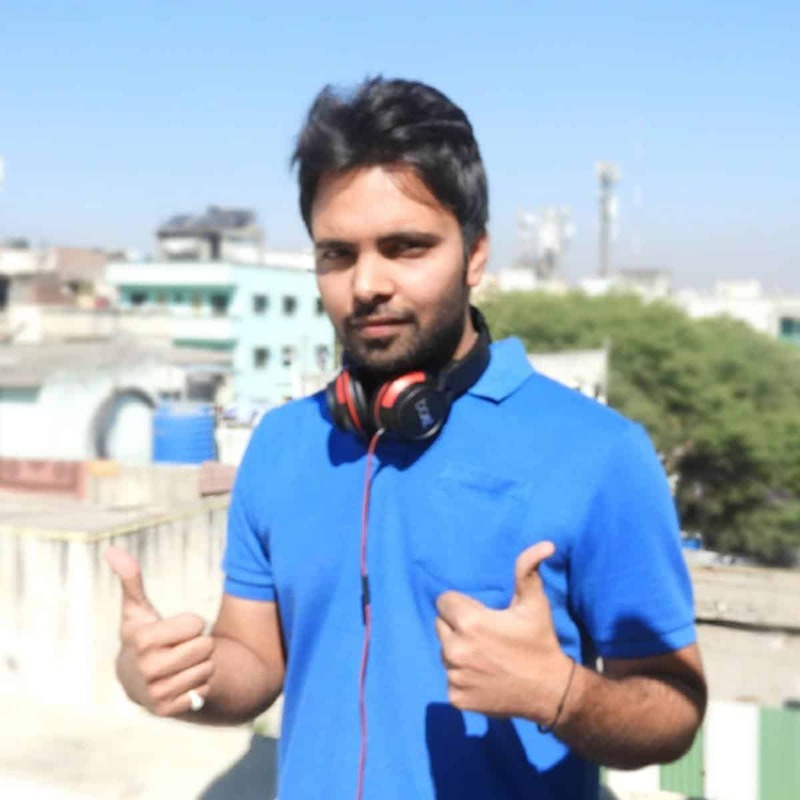 The type of digital marketing channel depends on the goals and objectives of your company. You can use SEO and content marketing for long-term benefits, but if you need to achieve a short-term goal, then PPC would be the best option for your business. Whatever marketing channel you choose, it will require some budget to implement it effectively. The organic methods cost less whereas the paid marketing activities require a big investment. Most of the companies spend 25 to 43 percent of their marketing budget on content creation, but only 23 percent of the marketers feel that they are producing valuable content for their targeted users. Therefore, it’s important to choose a marketing channel which can work efficiently in your budget. Previously it was very difficult to measure the overall ROI of a digital marketing campaign. More than half of the budget of enterprises would get wasted because there was no specific method to monitor the conversions, CPC, and others. However, technology has evolved at a much faster rate, and nowadays there are many tools and software available which you can use to track the different metrics. While measuring the overall return on investment, it’s essential to monitor your goals and objectives regularly. For example, if your goal is to increase the traffic of your site, then you need to keep track of the fluctuating traffic numbers and bounce rate. You should also monitor when you are getting the most traffic and conversions as it will affect the ROI of your marketing campaigns. To get the most out of your marketing strategy, analyze the performance of your campaigns, and report about the target achieved KPIs, and others regularly. You can examine the report at least once every month and tweak your strategies to get the best results. A successful digital marketing strategy helps a business to increase its traffic, sales, conversions, brand value, and many more. Before starting any online info business make sure you choose perfect category or niche to start your online business for maximum out of your business. To create a solid digital marketing strategy, you need to understand your brand’s unique selling points and the objectives you want to achieve. There are many methods to scale a company’s growth; however, you need to be careful while selecting the proper marketing strategies because each business type requires a different marketing approach and plan. 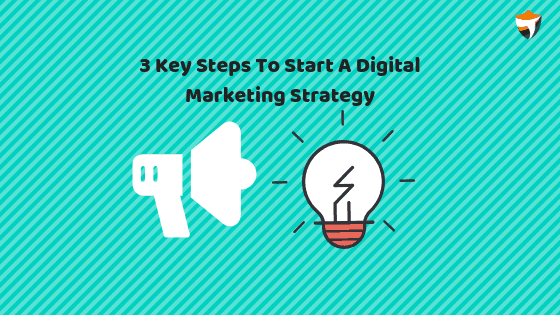 Hence, it’s important to build a foundation first and then customize the digital marketing strategy accordingly to the requirements and needs of your business. 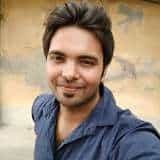 Hello Amit sir, I my website is suffering from a problem. Can you help me… ? Explanation: When I am sharing my post to FB, Twitter, WhatsApp, etc the feature image is not showing up. Only my website logo is showing up at the area of featured image. Please sir help me. Thank you. You can clear your cookies and try again sharing on social media it will solve your problem or sometimes this problem occurs because of weak internet connection.